Math is SUCH a complex subject to teach to any child. When you add in sensory processing disorders, speech and language delays, visual impairments and outright behaviors, it makes math THAT much more complex. Most store curriculums only provide 20 pages of practice on one skill before it gets more challenging. This does NOT work for my students, as some students may be working on the same skill for 6 months, or even 2 years. 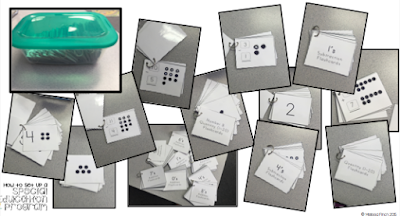 To overcome this challenge I designed my own leveled math curriculum for students with special needs. 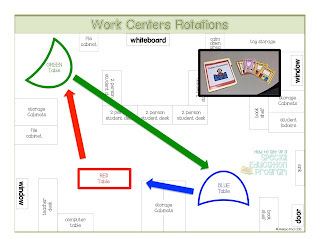 All math takes place at the blue center during the morning work centers. 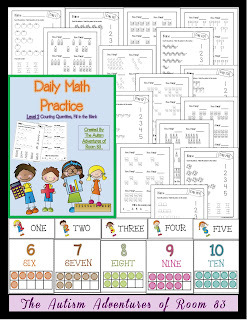 This Daily Math Practice curriculum is sold separately by levels since every special education classroom has a wide range of abilities. This curriculum is designed to build a cohesive curriculum within your classroom while meeting the needs of all of your students. 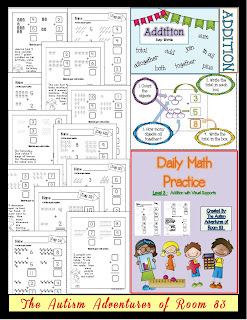 Each level has 180 days of practice pages (double sided) and also has anchor charts to support student learning. Using this curriculum in conjunction with the writing curriculum will create consistency within your classroom which will promote independence and success for your students with autism and special needs. 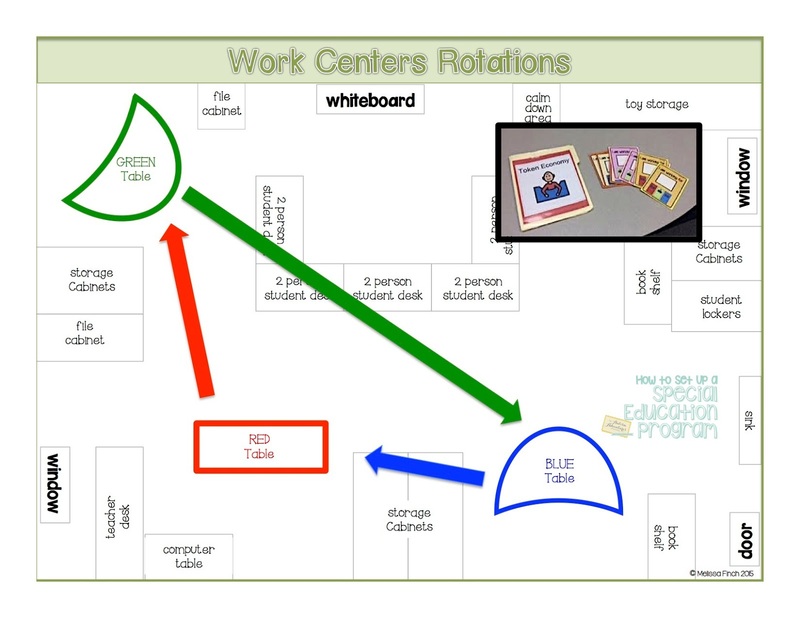 Each worksheet is designed using a simple clutter free format to minimize distractions. Each side of the worksheet has only a few problems and the fonts are large print. 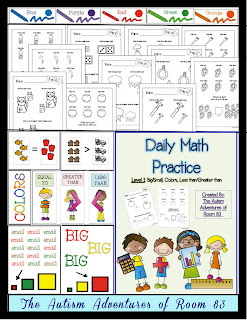 I also stock my math center with math materials I have bought over the years. 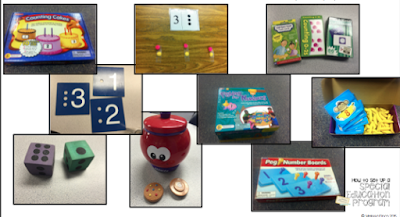 These are great to pull out to fill the time before we rotate to the next group. They are fun, hands on and interactive for our tactile learners that also reinforce pencil/paper tasks! Fluency is also a huge component of math. Memorizing and increasing speed with counting, adding, subtracting is so critical for our students as they grow older. I store all of my visual flash cards in a bin on rings. I can pull them out to test, assess or practice. 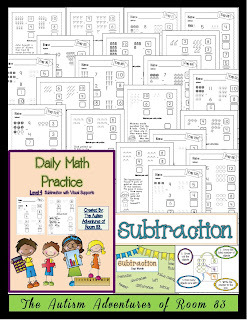 where would someone be able to look at and possible purchase this math curriculum?